Antique playing cards from Germany 1920s. Antique playing cards from Germany 1920s. German vintage illustration. Moon and Rooster. 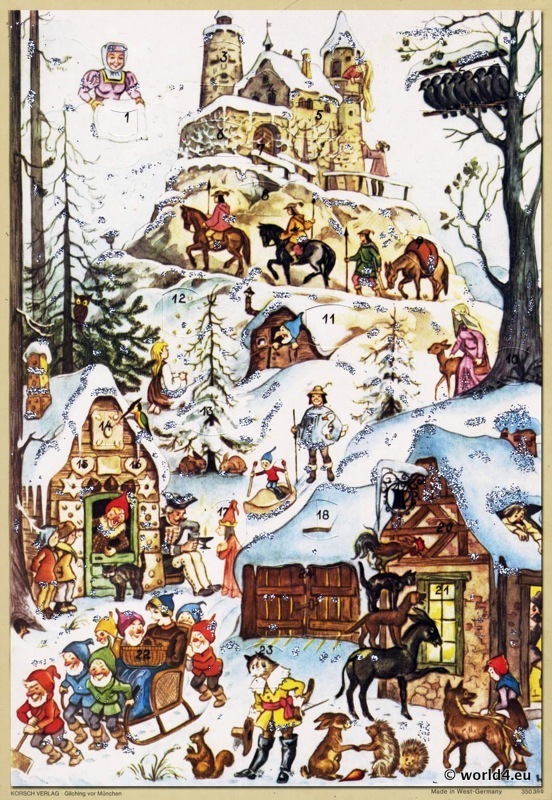 German Christmas Advent Calendar. Fairy Tale Illustrations.